They are user-friendly, highly compatible with different data processing networks, easily portable, and have an enormous throughput: these are the features that distinguish the PZG Series particle counters by RR Elektronik. The compact particle counters in their elegant steel casing with the large colour touch screen display are very popular with experts in the fields of filter tests, semiconductors and the pharmaceutical industry, with hospitals, pharmacies, and in many other cleanroom production processes. The PZG Series by RR Elektronik is characterised by precision and flexibility. 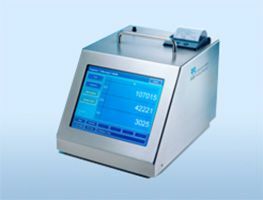 The particle counters measure particles sizes from 0.2 µm upwards at a throughput rate of 28.3 l/min, and from 0.3 µm upwards at a throughput rate of 100 l/min. The two model variants can signal up to eight particle sizes simultaneously. 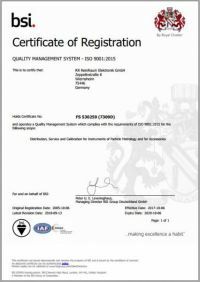 The devices in the PZG Series are equipped with two interfaces (USB and ETHERNET) and generate data reports according to all the important standards: DIN EN ISO 14644-1, DIN 1946-4, CFM, GMP At Rest, and GMP In Operation. The particle counters can be used equally well as stand-alone units or as components of a particle monitoring system. You can find all further product information on the PZG particle counters ...here.